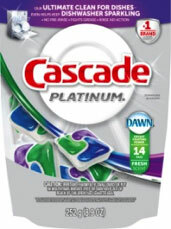 Then, I learned about Cascade Platinum Pacs – the latest and most powerful dishwasher detergent packs from Cascade that are designed to really get your dishes clean. Even dishes with 24-hour old food stuck on them. Wow. Another bonus with Cascade Platinum Pacs is that they help prevent additional hard-water film build-up, which is great for those of us who are on mineral-rich well water. I’m excited to test out and learn more about Cascade Platinum Pacs and am honored to be a Cascade “My Platinum” Ambassador. Over the next few weeks, we’ll be sharing more about the new Cascade Platinum Pacs and how they’ve helped me make gettin dishes clean even easier. We’ll also be sharing some information about the “My Platinum” Instagram contest, where you’ll have the chance to win some great prizes, as well as share some tips about food presentation from Top Chef judge and editor of Food+Wine Magazine, Gail Simmons. I really like Cascade the best,my grandmother always used it because there isn’t anything that cleans the dishes better. I’ve always scraped the dishes before putting in the dishwasher. Cascade is a wonderful product and I’ve been using it for years. I’m curious to see how they work for you. I always wonder if it is the dishwasher or the detergent that really holds the power of clean dishes. When we first bought this place, I took the dishwasher out because I always had to wash first. I liked Platinum until it left green splotches on my white dishes from the dye–talked to P&G. Just going to use another Cascade. Maanged to get the green off with baking soda. I’m really curious to see if the dishes, flatware, and glassware really come out clean without a pre-rinse. Or, should I say, the pots and pan! I always had to pre wash the dishes before putting them into the dishwasher. I had never use Cascade before but will try it to see if it’s really work. I love Cascade. I’ve used it for a long time. I just want to know if it works like it said. I hate to pre wash the dish before I put them in the dishwasher also. I love these, they work great. i hate rinsing the dishes so i will try these! my son never rinses just put them in the dishwasher so this might be a godsend! I’ve never found anything that works better than Cascade. I use the Cascade Complete powder, because I have an older dishwasher, and haven’t tried the packs. I have tried other brands’ packs but they aren’t as good as the Cascade powder. I have a strict rule in my house, everything must be soaked in water as soon as you’re done with it! That way I don’t have to do much to them, I can put them in the dishwasher and let Cascade do the rest. I’ve always used Cascade! Cascade always has cleaned my dishes, and I like that the new prewash Cascade Platinum is coming out, and I want to see if it really works without prewashing. 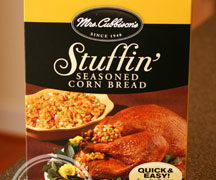 I bet it does! Thanks for this information. I am one who always pre washes everything as well,it would be nice not to have to. This sounds worth a try. I do get annoyed at prewashing, as it takes so much time. I wasn’t sure about this product until I finally used it. I received a free sample and used it the next day. I an honestly say that my dishes have never been cleaner and I am now using it all the time and I’m so happy not to have to prewash my dishes anymore! !